QCOSTARICA – Costa Rica recorded the higher temperature in its history, reaching 43° C (109° F) in Puntarenas and 34.7° C (95° F) in San Jose, in February 1964. But this record could be broken this year, as the 2016 forecasts from the national weather service, the Instituto Meteorológico Nacional (IMN), indicate the influence of El Niño and global warming will contribute to the thermometers shooting up. 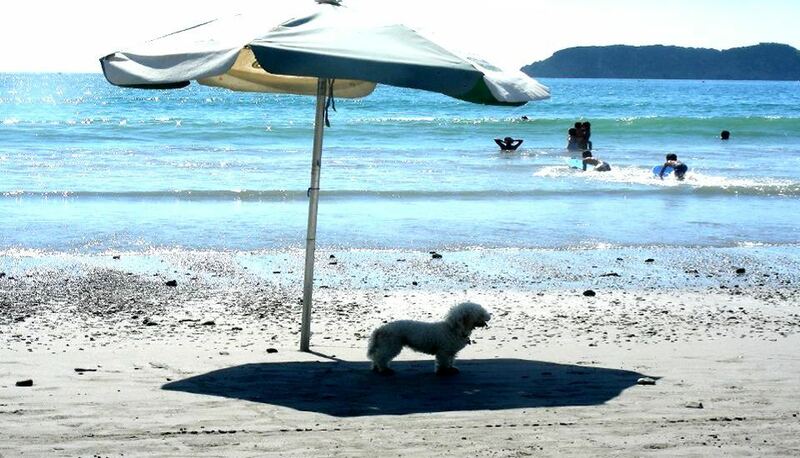 “Last December was the warmed December in the history of Costa Rica. The El Niño have been with us since 2014 and in 2015 reached peak intensity, but now, in the dry season, higher temperatures, especially in the second half of February and April are expected,” is the word from IMN meteorologist, Luis Fernando Alvarado. In the face of intense heat, health experts recommend adequate hydration, especially in infants, elderly and athletes. Pets are also affected. Solar radiation. Although Alvarado was clear in explaining that high temperatures do not cause more ultraviolet radiation, health experts caution that this issue demands attention throughout the year and during the dry season. According to Alvarado, the irradiation time itself could go through some changes. “Normally, it is said the most dangerous hours of exposure are between 10am and 2 or 3pm, but it is possible that in March and April, it could begin earlier and end later,” said Alvarado.